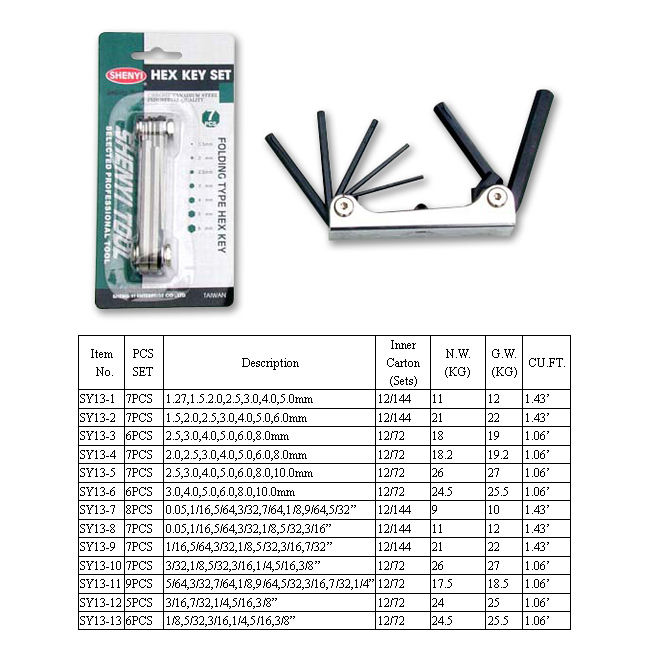 SY13-1~13 Folding Type Hex Key Set - High quality Taiwan SY13-1~13 Folding Type Hex Key Set provides by Sheng Yi Enterprise Co., Ltd.
. Keys are chrome vanadium steel.
. The case are polished and with chrome plated.